I’m getting it out the way right now: This product is for the iPhone users in the house. I know that Apple took away regular headphones form you and gave you AirPods, I’m sorry. 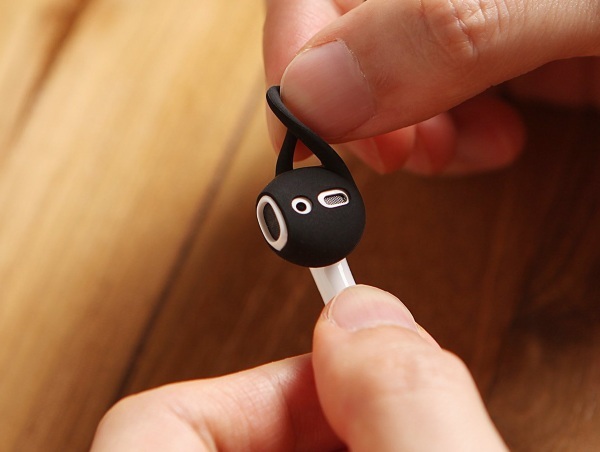 If you’re worried about them falling out of your ears, check out these neat AirPods EarHooks. These silicone covers slip over the top of the AirPod and create a soft “hook” so that the pods can sit comfortably in your ear. These come in two sizes, small and regular so that you can get the best fit for your ears. They operate as an extra layer of protection in keeping these in your ears and are cheaper than having to buy a new set of AirPods because you lost one. One downside to them is that the AirPods cannot be charged while the EarHooks are still on them. That’s a bit annoying but it isn’t a huge problem. They also come in a number of fun colors, including glow in the dark. You can get your own set for $9.99.